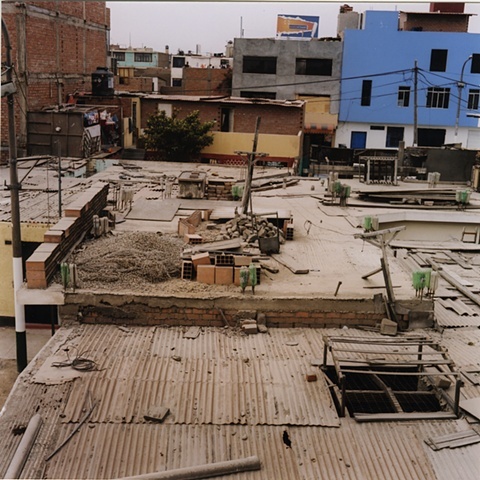 In Lima, Peru the architecture in working class neighborhoods often have incomplete roof tops. As families save their money they slowly build rooms and add floors to their homes. The roof tops become abandoned construction sites until sufficient funds have been acquired to continue the job. In between construction periods watchdogs, billboards, and clothes lines are commonly seen occupying the roof top space.